The oil and gas-rich island in the Russian Far East has a sizable ethnic Korean minority; a community that has assimilated into Russian society. When the last ships carrying fleeing Japanese citizens left the shores of southern Sakhalin in the late-1940s, a human problem was created as a result of early-20th century geopolitics. A sizable number of people, who belonged neither to Japan nor the Soviet Union, were stranded in the southern part of the island (which was under Japanese rule from 1905 to 1945). The ethnic Koreans were brought as slave labour to southern Sakhalin or Karafuto as the Japanese called their part of the island. 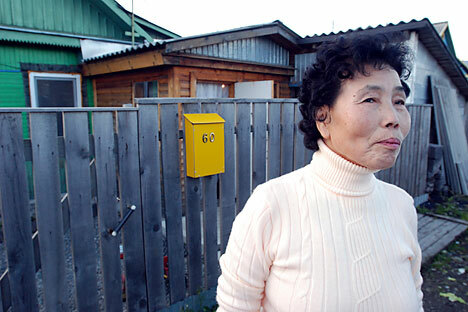 The retreating Japanese refused to accept the Koreans as their own citizens and the volatility in the Korean peninsula left the community in limbo. Flash forward to 2015 and the oil and gas-rich island is proud of its model minority. Most of the members of the 40,000-strong Korean community have Russian citizenship and are completely integrated into the cultural life and society of the island. It’s possible to see ethnic Korean postal employees, businessmen, bureaucrats and even customs and immigration officers in Sakhalin. Korean cuisine has also spiced up the cuisine of the island, known for its great sea food. Most shops sell spicy Korean salads along with traditional Russian favourites and not all the customers buying the Kim Chi and chilly-laced salads are Korean. The administrative centre of the island, Yuzhno-Sakhalinsk, has a fair share of Korean restaurants, although diehards from Seoul swear that the food isn’t even close to being authentic. Ethnic Korean youth are native speakers of Russian and while some of them can speak a smattering of Korean, for many the second language of choice is English, given the global opportunities that the language can open up. Many schools in Yuzhno-Sakhalinsk offer Korean as a second language but a lack of practice often makes children forget the language after graduating. “The only thing Korean about them is their blood,” says Tommy Roo, a former student of the Sakhalin State University, who moved back to his native Busan after spending 5 years in Yuzhno-Sakhalinsk. “Many of them don’t even eat Korean food and have a totally Russian mentality,” Roo says clarifying that he doesn’t view this in a negative light. Oleg Kim, a 45-year old now based in St Petersburg says growing up in the USSR made it easier for his peers to assume a “common identity, distinct from an inherent Koreanness.” Kim, like many other Sakhalin Koreans, managed to do a light military service, which had little more than symbolic value.